Could Congressman Dan Lipinski of Illinois be appointed Ambassador to Ireland? While on the surface it appears unlikely, it was Lipinski’s name that was most on the lips of Washington insiders at the St. Patrick’s bash in the White House last week. The Lipinski boomlet was fueled by speculation that several likely candidates had failed the stringent background checks and had dropped out. One, a former Irish American politician was said to have been among the favorites. Lipinski has alao been mentioned as a likely contender for the Vatican ambassador job. He is one of the few pro-life conservative Democratic members of Congress and seems to fit the bill for the Vatican. However, that likelihood is now being talked down. The word in Washington circles is that Ireland could be a possibility too for the 46-year-old representative who Obama is said to be determined to get rid of. Obama is said to be ill-disposed towards what is essentially a GOP member in wolf’s clothing who represents Southwest Chicago, right in Obama’s backyard. He is anti-gay marriage, anti-abortion, essentially a blue dog Democrat in a liberal state and Obama does not like it one bit. Replacing him could be a local priority and if the Vatican is not available as now apparently it may not, then Ireland could be second best. Any special election to replace him woudl likely go to a Democrat. 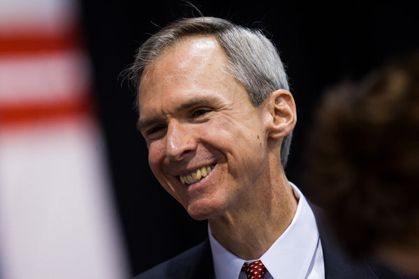 Lipinski’s father Bill was a conservative house member for many years before handing the seat over to Dan who has successfully held it since 2005. Though he has no ounce of Irish blood there is precedent for non Irish American ambassadors to Ireland such as Raymond Guest who served from 1965 to 1968 and who was Winston Churchill’s second cousin and the son of a British cabinet minister. Washington attorney Mark Tuohey is also still in the frame for the job and has been the bookmaker’s favorite. The announcement was not made as was traditionally done on St. Patrick’s week.